A secure safe is not only a safe which is able to withstand attacks from a possible thief. The contents which it guards may also be put at risk in other ways, even if they are less obvious. For example, if the safe contains documents, works of art, precious items, weapons, or other metal objects, a potential danger consists of the internal humidity, which can promote the development of moulds on paper and fabrics or accelerate the oxidation of metals. Or the threat may depend on an unwise or incorrect use by one of the persons authorised to use the safe or security cabinet. 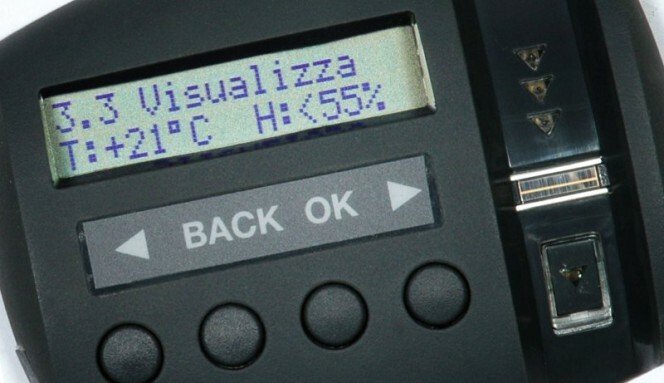 In order to also protect against these risks, the Viro Ram-Touch system, which is fitted to a wide range of wall and free-standing safes and gun and document cabinets, provides, through the convenient backlit control panel, 2 advanced monitoring functions: control of internal climate and audit trail. 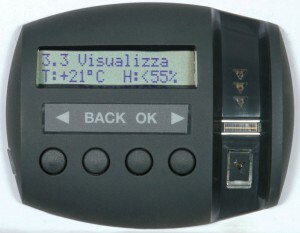 The menu of the Viro Ram-Touch system not only allows for the normal operations for opening and registration / cancellation of fingerprints and codes but also allows you to display the internal temperature and humidity and, if necessary, set an audible alarm which warns of possible formation of condensation, in order to prevent oxidation of the metal parts of the items stored (jewellery, watches, weapons, etc.) and / or damage to paper material. 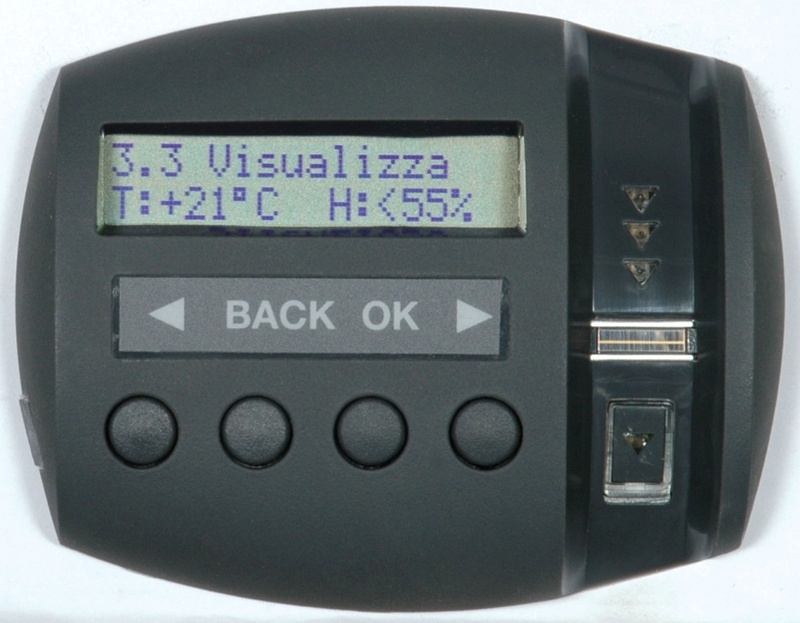 Monitoring of the internal climate is one of the advanced features of Viro Ram-Touch. Who opened the door previously and when, so you can control use of the safe by individuals by the other authorised persons. How many opening attempts with incorrect codes have been made and when, so you can be aware of any attempts to guess the opening code. If and when a security block was activated (that is, a number of consecutive opening attempts made with incorrect codes during a relative period of time, during which the safe / security cabinet locks electronically, not allowing further attempts). If and for how long an opening delay has been activated. In fact, with the Viro Ram-Touch system it is possible to set an anti-theft delayed opening, just like in bank safes. In this way, even if you were forced to open the safe or security cabinet, the opening would not be immediate, as it would be necessary to wait for the pre-set delay – without the possibility of turning it off, thereby making the thief lose precious time. If there has been an opening with an emergency key, in order to check for unauthorised mechanical openings. The latest changes to the settings of the menu, to check how use of the safe is managed. 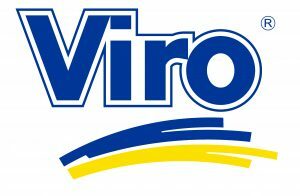 An example of data displayed by the audit trail of Viro Ram-Touch safes. Ram-Touch is a system for opening safes and security cabinets which is not only secure, because fingerprints cannot be duplicated, and practical, because, if the opening with a biometric reader is used, it does not require codes to be remembered or the use of keys, but it is also versatile, because it provides many advanced features, such as the audit trail of transactions performed and monitoring of the internal climate, as well as all the features that we have already seen in a previous blog. This entry was posted in Safes, Safety cabinets and tagged products on 20 July 2015 by Mara Rossi.